Columbus, Ohio (June 22, 1982) - Marvin Smith sailed to victory in the ARCA-sanctioned “Columbus 100” at Columbus motor Speedway on Friday night for his first victory in the 1982 Automobile Racing Club of America Talladega Super Car Series campaign. Scott Stovall, the ARCA series point leader, nipped Bob Dotter by less than 6 inches on the final lab to take second place. The pair finished around eight car lengths behind the winner. 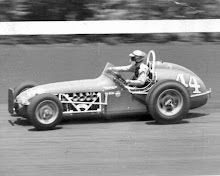 Lee Raymond, who won the last round at Flat Rock earlier this month, finished fourth, surrendering the lead to Smith on lap 34. 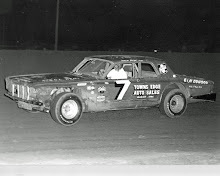 Bobby Jacks and Larry Smith, Marvin's brother, finished fifth and sixth on the same lap as the leader. 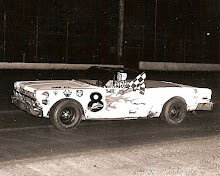 Stovall, Dotter, Raymond, Jacks, Larry Smith, Rick Roland and Jack Wallace dies for positions to through eight to route the 100-lapper around the CMS third-mile paved oval as Marvin Smith was able to open up a lead but never fully break away from the pack. Roland and Wallace ran with leaders for much the day before tire problems forced both to the pits late in the race, putting and several laps down to leaders. A total of 20 cars were on hand for the event, which was number five for the tour. 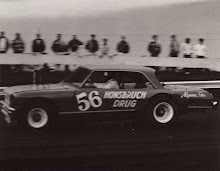 The features saw five caution flag periods. 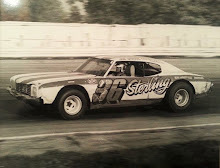 Marvin Smith, at two-time track champion here and two-time ARCA national champion, piloted his Buick Regal to the quickest lap, 15.311 seconds, of the six cars eclipsing the old ARCA record set in 1979.